A sense of complacency. A sense of invincibility. A sense of invulnerability. A sense of arrogance. That was southeast Florida in the 1980’s. The 1980’s were heady times in southeast Florida. Miami benefited from the drug trade and developed a shiny skyline and the semblance of a downtown. Fort Lauderdale shed its Spring Break image and acted all grown up as drug money and the other excesses of the 1980’s flowed. South Dade became a destination for tourists not only headed for the Everglades and the Keys but with the newly-designated Biscayne National Park, newly-built MetroZoo and increasingly popular Parrot Jungle in the area. Kendall continued to grow and grow and the Dadeland area took on its own feel of a downtown. Building codes in Dade and Broward counties were the most stringent in the state but they weren’t being particularly tightly enforced. This was an era of excess in the area marked by remarkable growth and incredibly good luck. Somehow divine providence seemed to protect southeast Florida, its developers, politicians, drug runners and especially its new residents. By Miami National Weather Service Office – Hurricane Donna effects on Biscayne Blvd. Southern Florida had been pummeled in the early and mid 1960’s by Hurricanes. Hurricane Donna ripped the region in 1960 dumping rain and flooded south Dade county. The area was then the area was hit in three successive seasons between 1964 and 1966 by Hurricanes Cleo, Betsy and Inez. Unlike the storms of the 2000’s which either brushed south Florida (but due to climate change storms were larger in size if not more intense by the 2000’s so the geographic footprint of damage was much greater – clear example: Hurricane Camile is the second most powerful Hurricane to have ever impacted the United States – it made landfall in the same place in 1969 that Hurricane Katrina did in 2005 but did not impact New Orleans or Mobile nearly at the scope Katrina did despite being far more intense a Hurricane) or moved through the area relatively quickly, these were strong storms that hit the area directly. Donna in particular had done massive damage to the Everglades ecosystem and Cleo had destroyed several local businesses, including Pompano Beach’s Storyland Amusement Park which would never reopen. 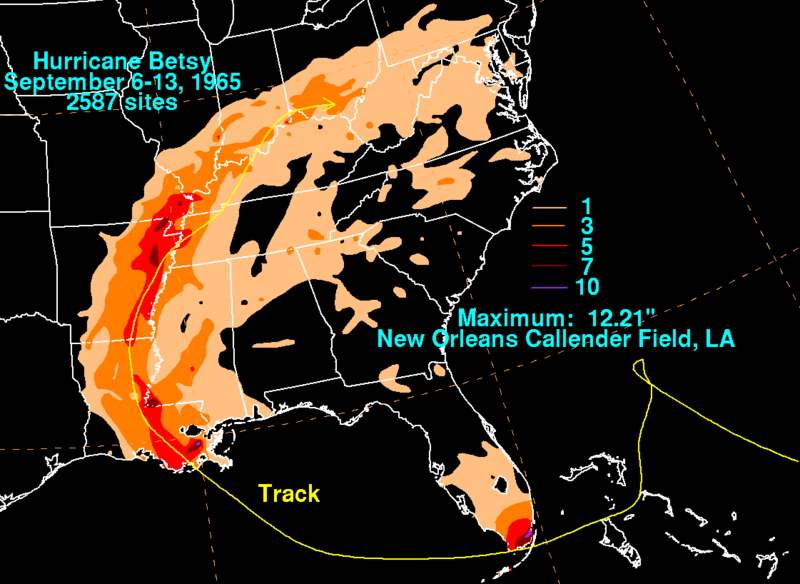 Hurricane Betsy soaked the region with rain and ironically took almost an identical path from Florida to what Andrew would do later in August 1992. Betsy also taught us a turn in the Atlantic was possible even when past southern Florida, a lesson I headed in 2004 when I saw Jeanne begin to turn late on night and started panicking feverishly emailing people ( we didn’t have Twitter then) even though the forecasts had it headed for Savannah or Charleston. Inez was more or less a a “dry” storm but brought an intense storm surge that did lots of coastal damage. The rain totals were minimal the storm surge would remain in people’s minds going into the 1970’s. Between 1967 and 1978 southeastern Florida wasn’t even threatened by a Hurricane and as the population of the area grew from under 2 million in 1966 to close to 4 million by 1992, complacency couldn’t be helped. Hurricanes were theoretical things to much of the population and something that wasn’t to be taken particularly seriously. The legend of Hurricane parties dominated local lore and some newer locals actually wanted to get hit by a storm to experience a hurricane party. Hurricanes were something that impacted others – whether it was Mexico, the Caribbean, the Bahamas, Mississippi, Louisiana or the Panhandle. Florida in general had an easy time of it in the 1970’s. Hurricane Agnes came ashore as a Category 1 storm in the Panhandle in 1972 and did little damage. It became famous due to the flooding its remnants caused in Pennsylvania. Category 3 Eloise hit the Panama City area in 1975 as the one real strong storm that directly impacted the state during the 1970’s. Southeast Florida had a similar period of little storm activity. After being belted time and again up until 1950 including the Fort Lauderdale Hurricane of 1947 and Hurricane King of 1950, the decade of the 50’s saw storm after storm pass the region by. 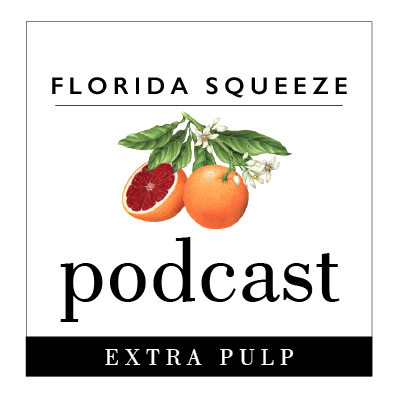 The 1950’s was a period of massive growth statewide as Florida went from a sleepy backwater to the most urbanized and populated state in the southeast United States. But Hurricane Donna had proven a massive wake up call in 1960, forcing state officials to behave in a more proactive and responsible fashion. The 1970’s were a golden age in Florida politics but also yielded the beginning of the complacency that would turn to arrogance in the 1980’s with regards to tropical systems. Hurricane David track in 1979 from Wikipedia. Note the similarity to Matthew in 2016. Then in 1979 came a chance to wake up the region – Hurricane David. After ravishing the Caribbean as a Major Hurricane causing over 2,000 deaths, David lost its Hurricane status and tracked over eastern Cuba as a Tropical Storm. Back over open waters south of the Bahamas it regained hurricane status and took a dead eye on Miami and Fort Lauderdale. Panic ensued as the south Florida metropolitan area had grown tremendously since the last direct hit. The media alerted residents and extensive preparations wisely took place. With a south Floridian in Bob Graham having just become Governor, state government was prepared for David. It had been 13 years since Inez, but given the region’s growth that 13 years might as well have been a century. But David then did something funny- it tracked the coast making an official landfall somewhere near Hobe Sound (ironically near the very spot 25 years later two Hurricanes that would ravage the state, Frances and Jeanne would make official landfall). But David’s “landfall” was short-lived and soon the storm was back out over the Atlantic. Like Matthew in 2016 it tracked along the coast leaving the vast majority of bad weather off shore. Unlike Matthew it was so weak that it hardly did any damage on shore. The “dirty” side of the storm never made landfall and did not impact the state. Storm surge was almost non-existent due to the angle it hit the state at and rains were no greater than an afternoon thunderstorm outside of some localized area. David was a killer in the Caribbean but in Florida became a reference point for future complacency and arrogance (ironically this is a great fear about Hurricane Matthew as well, though Matthew did impact the state more severely than David had). Hurricane Allen in 1980 stayed well south of Florida and similarly in 1988 Hurricane Gilbert, the first of a run of large Major Hurricanes in terms of geographic footprint didn’t impact the United States outside of South Texas. An isolated event was that one of the outer feeder bands circulated through the keys and southern Miami-Dade County as the storm devastated the Cayman Islands. The 1980’s brought Tropical weather to the area that furthered the sense of complacency. 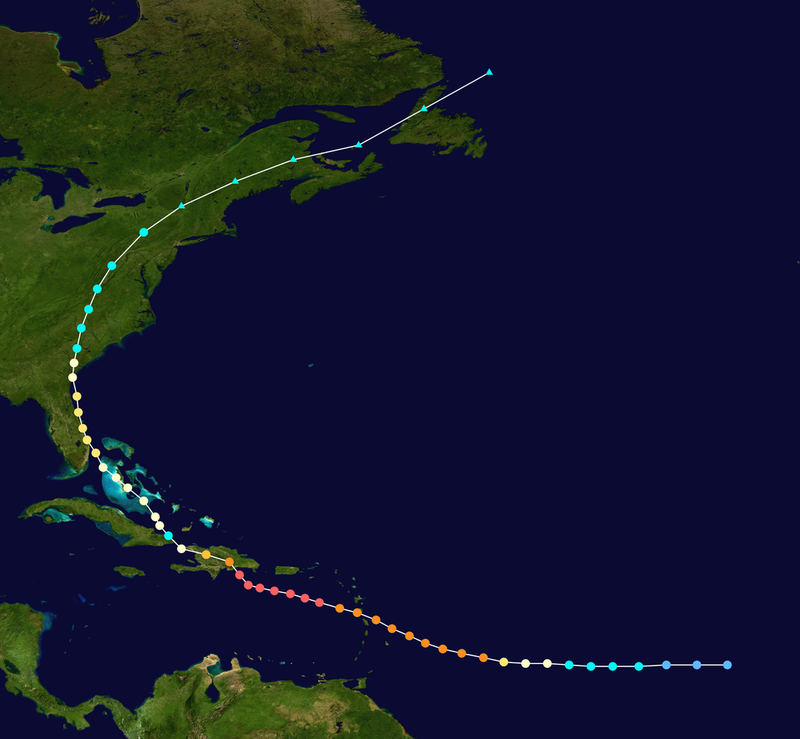 Tropical Storm Dennis was projected to become a Hurricane in 1981 but didn’t. It did dump lots of rainfall on South Dade, particularly the Redlands area helping to bring south Florida out of a drought. Dennis was a nuisance because of the rain but it didn’t bring the types of winds that were advertised and ended up being yet another event that furthered complacency. I can speak personally that as a seven year old “riding Dennis out” gave me a sense storms didn’t do a whole lot of damage and just dropped a lot of rain. How wrong I was. In 1982, Hurricane Alberto put the region on alert the first week of the Hurricane Season in June but mysteriously was torn apart by upper level winds before landfall in the Keys – the European model now considered a gold standard was the only forecast model that got this right. Late on June 3, Alberto attained peak winds of 85 mph (140 km/h) while located about 120 miles (195 km) west-southwest of Key West, Florida. Shortly after peaking in intensity, strong upper-level westerly winds impacted the deep convection of the storm. By early on June 4 Alberto weakened to a tropical storm after turning sharply westward due to weak steering currents. It drifted erratically as the circulation became exposed, and early on June 5 it degenerated into a convectiveless tropical depression. As a tropical depression, Alberto drifted to the east-northeast and later turned to the east, and late on June 6 it dissipated while located about 70 miles (115 km) off the coast of Florida. In 1984, Tropical Storm Isadore came ashore near Jupiter dropped a lot of rain on the area and in 1985 those of us who were growing up in south Florida got a day off from school because we thought Hurricane Kate might impact us – instead it drifted west into the Gulf and hit the Big Bend area. Then when we finally did get a direct hit from a Hurricane in 1987 – supposedly. Meet the original Hurricane Floyd, which was little more than a joke – like a fire drill in school for a tropical system. Hurricane Floyd of 1987 (not to be confused with the monster storm that scared us in 1999 then turned north and did lots of damage up the Eastern Seaboard) gave south Floridians an incredible sense of strength and further complacency. If this was what a direct hit from a Hurricane was like, why would any of us be threatened? Based on reports from the Hurricane Hunters, Floyd briefly attained hurricane status on October 12. Around the same time, the nearby cold front spawned a low pressure area that cut off the hurricane’s inflow. While moving through the Florida Keys, Floyd became the only hurricane to affect the United States that year. However, its convection was rapidly decreasing over the center due to the front, and shortly thereafter Floyd weakened to tropical storm status. The circulation became nearly impossible to track on satellite imagery, although surface observations indicated it passed just south of Miami, Florida. The storm underwent extratropical transition as it weakened over the Bahamas . Like Alberto in 1982, a storm had essentially fallen apart as it was about to threaten the Keys or the southern part of the peninsula. Were we somehow divinely protected by a higher being that two improbable meteorological events would happen before we got hit by a Hurricane within five years of one another? When the deadly Hurricane Hugo turned north well out in the Atlantic and hit Charleston instead of us in 1989, it was yet another sign we’d always be safe. Hugo has looked menacing but ultimately did what all Cape Verde storms do- turn north or dip south into the Gulf. South Florida was again safe. The 1980’s had passed with a few scares but no real scars. 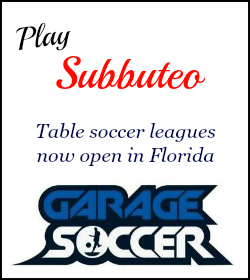 As we entered the 1990’s southern Florida was facing new challenges. Pan Am and Eastern had just gone under costing the area tons of jobs. The recession hit us hard and job losses were higher than the national average. But by the middle of 1992, signs of recovery were around and the area had never been better from a sports standpoint (which was the real glue on the area made up largely of transplants). Much like the roaring 1920’s, which didn’t end for the nation until Black Friday, but ended for Florida on the day the Great Miami Hurricane washed ashore in 1926 (which was an important precursor of the Great Depression), Florida was flying high. Hurricane Andrew would change everything, forever. But as August 1992 began, nobody knew what was around the corner. When on August 15, 1992 a classic looking Cape Verde Tropical Wave moved off the coast of Africa and into open water, no one took much note. After all from 1965 to 1991 these types of storms that develop in August and September had all dipped south into the Gulf or swung north into open ocean or toward the Northeast. The only exceptions were the aforementioned David and eventual category 5 Hurricane Anita which was still a weak and disorganized wave when it passed right over Key Largo and Homestead in 1977. Anita became Tropical Storm in the Gulf and by the time it reached Mexico was a Category 5.